VLF Automotive have taken the wraps off their new Force 1 supercar and just 50 units of the car will be made, each one costing $268,500. 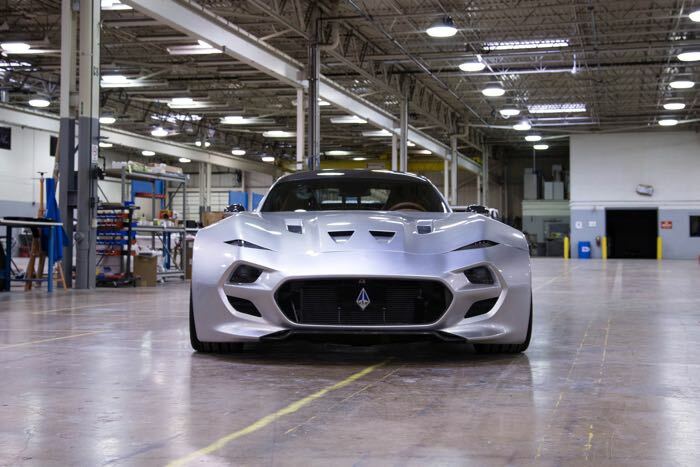 The Force 1 is the work of Henrik Fisker, Bob Lutz and Ben Keating and it comes with an 8.4 litre V10 engine that develops a massive 745 horsepower and 638 lb-ft of torque. 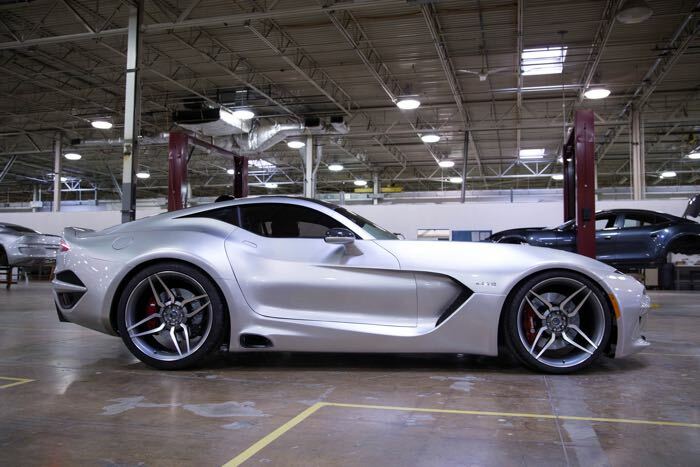 This gives the VLF Automotive Force 1 a top speed of 218 miles per hour and a 0 to 60 miles per hour time of just three seconds. 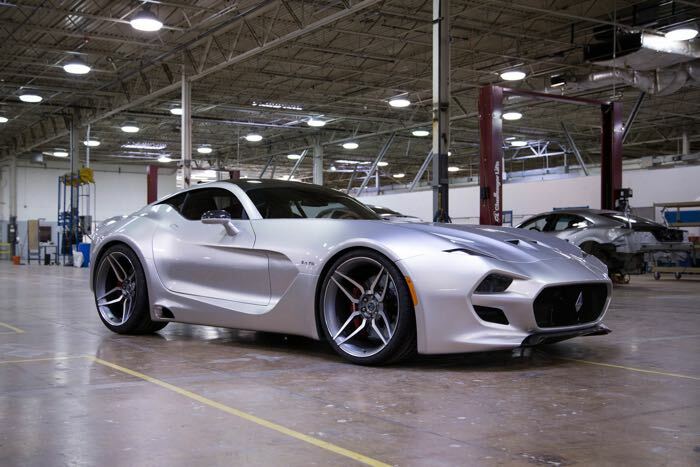 Force 1 embodies Henrik Fisker’s design language, which underpins all VLF Automotive cars. With Fisker’s signature balance between Proportion, Sculpture and Graphics, the exterior design of Force 1 boasts classic American sports car proportions with the long hood, short front overhang, long tail, pushed out wheels. 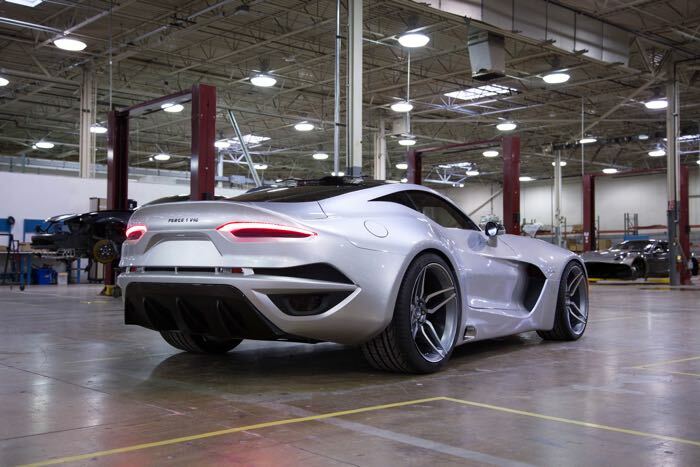 “In the case of Force 1, there is an extremely pushed back green house,” Fisker explained. “The sculpture on Force 1 is like a family succession to Destino, dramatic and powerful, relative flat surfaces on the high end of the body side, with lines full of tension, emerging onto a rounder lower section, where Force 1 has a large functional outlet. 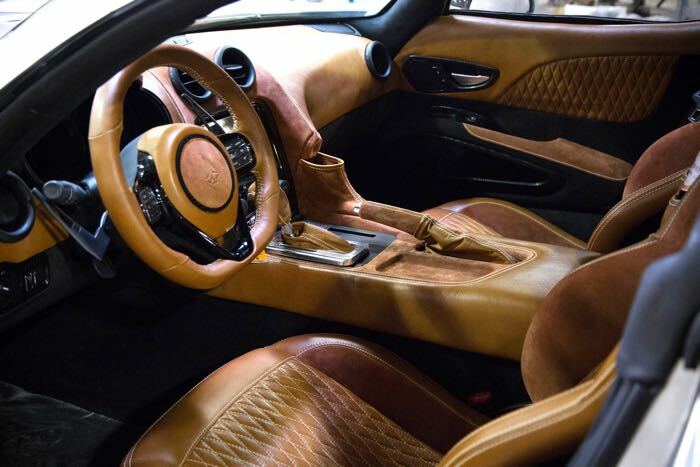 The sculptural hood has unique large negative surfaces, as in the family of the Destino, with 6 highly needed air intakes and outlets for the 745-HP 8.4 L V10 engine. You can find out more details about the new Force 1 supercar from VLF Automotive over at their website at the link below.